Wireworld Stream 16/2 review | What Hi-Fi? 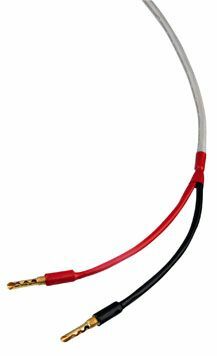 This cable and our current Award-winner, Chord's Carnival SilverScreen both used to cost £6 per metre, and both scored five stars. Chord has now gone up 20p and this has gone down 60p… will that make a difference in the Wireworld's favour? That's not to say it isn't still good, though. It still displays all the dynamism and speed as it ever did – all major plus points. It's light on its feet, renders the leading and trailing edges of notes extremely well through our reference system (an Audiolab 8200CD player, Roksan Caspian M2 integrated amplifier, ATC SCM11 standmounters and Chord CrimsonPlus interconnects, every product an Award-winner), and still delivers pleasing punch with the likes of Nine Days' Revolve. But for all that, it still can't quite convey the weight, the stability – or the simple authority and groove – of the very best. So, four stars it must be.